We take you to Lowry Theatre for delightful afternoon of Strictly. We take our seats for a glittering and glamorous show by the Professionals on BBCs Strictly Come Dancing. 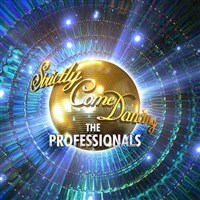 This show bring together some of our much loved Strictly professionals as they take to the floor. These world class dancers perform a wide range of wondered choreographed rountines with sequins, sparkle in a stunning production.